Today I'm going to discuss with you the recent controversy over Venezuelan President Hugo Chavez's not renewing the broadcast license of a television station in that country. All nations license the right to use their public airwaves, since the demand for use of the airwaves far outstrips the supply. 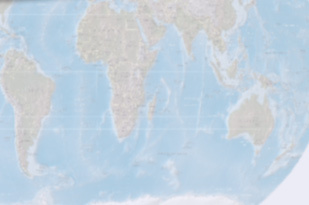 In the US the Federal Communications Commission performs this function, granting terms of 8 years. In Venezuela, the term is 20 years. Broadcasters must serve the public interest, and if not, their licenses can be revoked, or not be renewed. And there's the rub, as Willy S. said. We need to go over the events of the April 11, 2002 coup in Venezuela that attempted to remove Chavez from office, and the role RCTV played in that coup. As you'll hear, Chavez was totally justified in not renewing RCTV's license based on its support of the coup. It's certainly not serving the public interest to support the overthrow of the democratically elected government of a nation. We'll also go over what happened in Venezuela after Chavez's license non-renewal, and how the right-wing tried to exploit, if not outright create, a crisis in Venezuela. 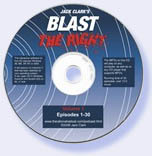 Programming note: for the rest of the summer, Blast The Right will appear every other week. I heard your show for the first time on Grateful Dread Radio this week. Man, I was blown away! 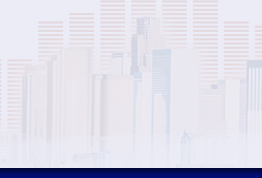 So cool to find quality progressive radio instead of all this right-wing bs you hear everywhere. I sent a letter to the station too -- you guys are doing such a good thing for America and for what America is supposed to be about! Thank you, thank you, thank you. Keep up the good fight and don't back down. We need ya! Glad to hear that someone is on to the imperialist activities of the CIA et al. I have spent the better part of two years in Venezuela--was there for the last election (referendum)-- and I've seen the lack of reporting of Chavez's victory by the pro-opposition media even during that event. I've also seen first-hand the positive changes in health care and education being made on behalf of the impoverished masses. I am frustrated by the US media and yes, even some progressives, for their willingness to carry the water for the powers in this country who wish Chavez dead. Thanks for getting the word out. I'm a Democrat and a LIBERAL at that, hate the Bush administration and everything it stands for, but I can tell, you have never lived in an oppressed country, all I'm saying to you today is... Chavez will do it the same as Mr. Castro did in Cuba. This is exactly what is happening in Venezuela NOW. The coup was fabricated by the Chavez regime like everything else he has done in Venezuela; and where are the students who went out to speak in favor of democracy? DISSAPPEARED!!! The healthcare and education programs in Venezuela are not run by Venezuelans, they are run by 30,000 Cubans, which by the way Venezuelans hate. It is history repeating itself, the Russians went to Cuba and took over, now the Cubans are taking over Venezuela. Mark my words, you ain't seen nothing YET, Mr. Chavez actually thinks he is "THE NAPOLEON OF LATIN AMERICA."